Open water swimming will start this season on Thursday May 24th at the Inislena Recreation Centre in Iniscarra at 7.00pm. A couple of points to note you have to be a member of Cork Tri to swim with the group or at least a member of Triathlon Ireland and another tri club. Wetsuits are compulsory because of the water temperature. 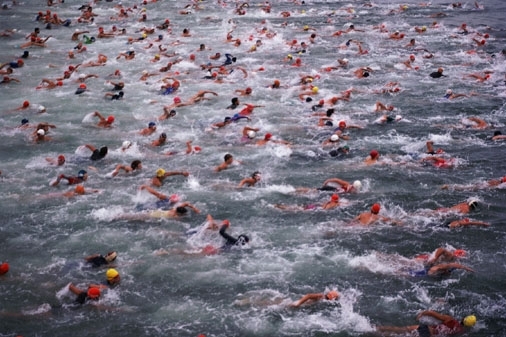 This is not a swim for beginners, the lake is very deep so anyone joining the swim should be a competent swimmer capable of at least 1000-1500m. There will be some evenings designated for competent pool swimmers who want to start open water swimming. It is also hoped to have some special events, casual BBQs on some evenings, weather permitting and maybe an Aquathon or two with the swim on the lake and the run up the old (closed) road that runs parallel to the lake. Directions from the County Hall to the recreation centre on “Map my Run”, distance of approximately 15km, or head for the Angler’s Rest and follow the R618 towards Dripsey, recreation centre is at the bottom of the hill after the EPA building.